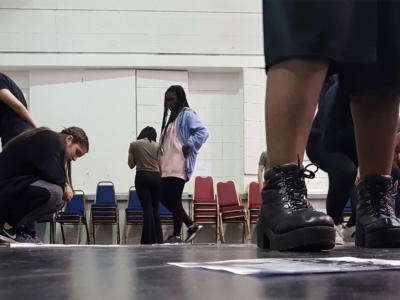 Read Ajay’s response to the ENO Youth Company first module in 2018-19. 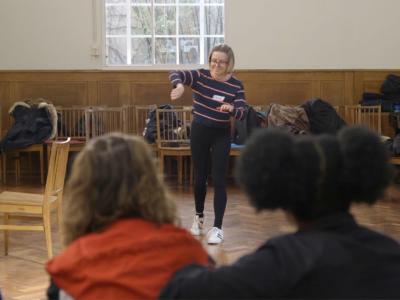 Working with director Caroline Williams, the group explored the beginnings of the creative process and what they want to make work about. 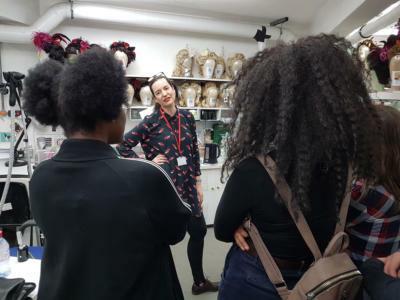 They also met with ENO Salome director Adena Jacobs to find out about her approach to director, and worked with ENO Head Milliner Megan Bearup to create their own 3D sculptures. 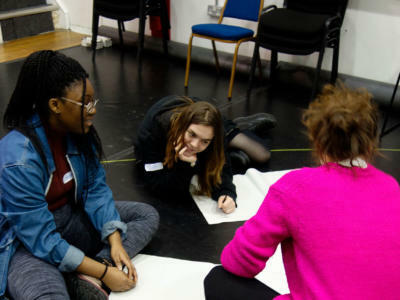 The English National Opera’s Youth Company went into full swing this October half term, uniting many creative and confident young people to explore the world of opera in greater detail. The first session began by meeting director Caroline Williams; it was a privilege for us all to meet such a creative professional. Caroline’s inspiring ideas for the year ahead made us all feel excited for our time together. Why should I be the one to tell this story? Why should the story be told through opera? My favourite activity was when we were all put on a ‘grid path’ where we could only start with walking up, down, left or right. Slowly Caroline then introduced more actions we could do such as covering someone else’s eyes or sitting down – it was amazing to see how the newly-formed group were already so in-tune with one another, and the small snippets of interactions formed a greater whole which reflected the nature of life, specifically the interactions between characters in the opera we were focusing on, Porgy and Bess. This idea of a community of people interacting was then emphasised and developed upon by Adena Jacobs, the director of the recently finished Salome at ENO. We first looked into Adena’s work and where it came from – it was such a joy to see how expressive Adena is with her work and how she feels that it is important to be true to ourselves with what we do, no matter if people view it as strange or provocative. Meeting Adena was a huge inspiration for the group, as we gained more insight into how directors run an opera: from all their challenges and problems to all their joys and successes. Our day ended with a visit from Head Milliner at ENO, Megan Bearup. After an introduction to their roles at ENO, we listened to some pieces of music from upcoming operas at ENO including Akhnaten, Dido and Aeneus, and The Magic Flute, whilst drawing what we heard in charcoal onto paper. This abstract activity allowed us all to harmonize with the music and really pick up on all of the tones and atmospheres presented to us, which we then translated into drawings. With Megan, we then used these drawings to create our own props and costume pieces from a range of materials including cardboard, foil, yarn, and much more. 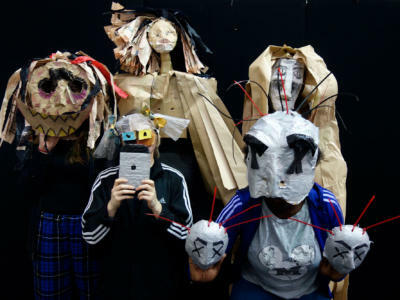 It was fascinating to see how everyone had interpreted the atmospheres of the pieces differently – and thus everyone’s props were all unique and told their own stories. 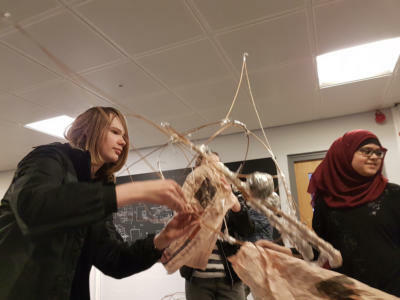 Overall, the first day of the Youth Company was full of delights – from meeting leading directors to astounding costume makers, the group has been inspired beyond belief and cannot wait for the year ahead.